The Casa da Madeira Community Centre offers a wide range of catering options and hall rentals to suit almost everyone’s needs. 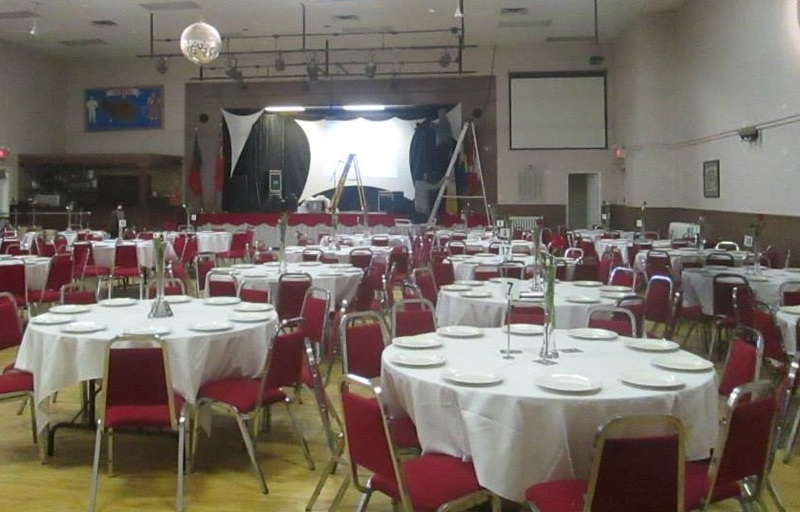 A furnished banquet hall is available for rental and makes the perfect location for special events such as wedding receptions, showers, graduations and anniversaries, birthday parties, dance classes, yoga classes and meetings. 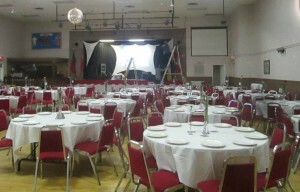 The banquet hall seats up to 260 persons maximum. This accommodates a dance floor. Some parking is available on Edwin Avenue. Prices vary depending on use and day of the week. The pricing for rental ranges depending on requirements, and an additional amount to also rent the kitchen. We do offer catering for special events, and different prices are incorporated depending on the menu. We rent for nonprofit and charitable events, contact the committee for more information. All Prices are subject to change and reservations are confirmed only with a deposit and a signed contract. A deposit is required to secure a booking and the full payment is held as a damage deposit until after the event. If no damage is incurred and the premises are left in satisfactory condition, clean-up is performed in a timely manner, as specified, then the deposit will be refunded. You can contact us at 416-533-2401 for more information.